Our center is open all year round. Our activities can be done at any time of year if the weather permits. We are at your service from Monday to Saturday 10:00h to 18:00h and Sunday 10:00h to 15:00h. We offer the possibility of providing you with bicycles at your hotel , renting minimum of one day. If the distance exceeds 8km a charge of € 15 applies for delivery and / or collection. The service is between 9:00and h 10:00h or from the 18:00, it is advisable to reserve 24 hours in advance. Comfortable clothes, hat for sun protection, sunscreen and sports shoes. Water or a natural drink for hydration during activity. the bicycle delivery, map with the routes outlined Park, helmet if required, padlock and roadside assistance. More than 2 days rental 15% off. Guided tour full day 80 € 1/2 day 60 €. Half day rental corresponds to 4 hours, It is possible to start of rental 10:00h or the 14:30h. 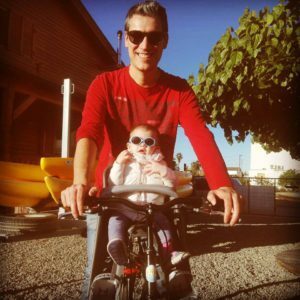 Full day rental can pick up the bike between 10:00 and the 18:00 and make returns on the same day before 20:00h or the next day in the same schedule pickup. You must comply with road safety rules. Minors must be accompanied by an adult and use a safety helmet at all times. 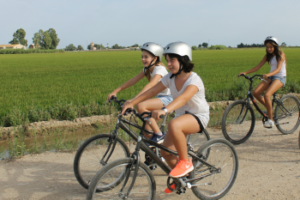 The user is responsible for the bicycle until the return to Riu a l'Ebre facilities. If a bike is abandoned and/or disappears, the user will have to pay 170 €. 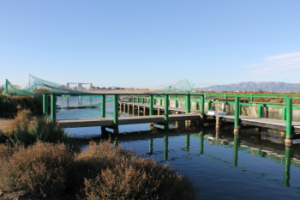 RIU A L'EBRE will not take responsability for either of this conditions . All of our services include civil liability insurance and road assistance.